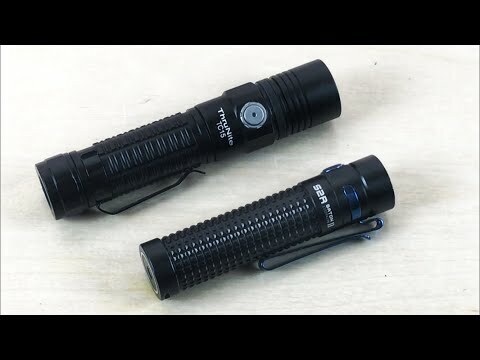 The Thrunite TC15 vs. the Olight S2R Baton II – this was a fun video to make. I like both lights, but as you will see after I get done with with the video, the Thrunite is now going to be used more often. As I noted, the ‘turbo’ feature for both is kind of a hit and miss thing for me since I don’t use it a lot. And so that said, the output for the Thrunite at ‘high’ over double what Olight offers. Check it out and let me know which one you like. And thanks to Thrunite for sponsoring this video.